When a person is diagnosed with an epilepsy syndrome. Diagnosing seizures and the type of epilepsy is like putting the pieces of a puzzle together and includes information from many people and different tests. A doctor will first consider other possible causes of the seizures before diagnosing epilepsy. Sometimes blood tests are used to determine other causes. In establishing a diagnosis of epilepsy, a thorough physical examination, a medical history, and diagnostic tests are generally used. The doctor will require a family health history and a detailed description of the characteristics, onset, and frequency of the seizures. Often the doctor must rely on the description of others who were with the person during the seizure. In many cases, a person who has had a seizure does not remember the seizure. EEG: an Electroencephalogram (EEG) detects electrical impulses in the brain. The brain’s electrical impulses are transmitted from small metal discs placed on the patient’s scalp, through wires which are connected to the EEG machine. EEGs are useful in identifying areas of increased brain cell activity. 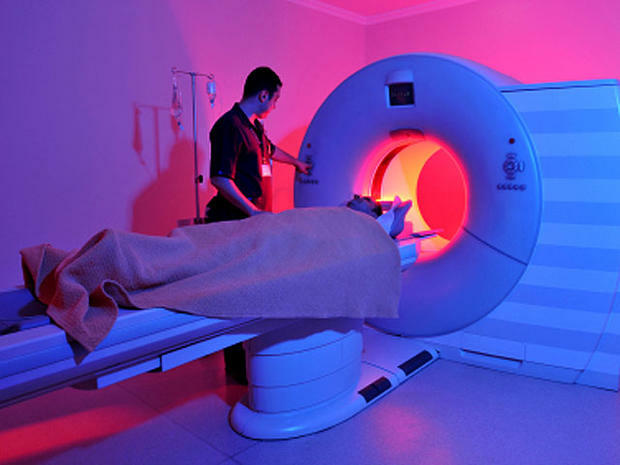 MRI: Magnetic Resonance Imaging (MRI) uses a large magnet positioned around the person to produce a magnetic field in the patient’s body. Precise two-or three-dimensional images are produced, providing doctors with detailed information about the brain’s structures. CT Scan: Computerized Tomography is a special type of radiological procedure which is used to take images of the brain. The X-rays are analyzed by a computer to show the brain’s structures. This information helps doctors spot any damage inside the brain which could be generating abnormal electrical signals. PET: Position emission tomography (PET) provides information about the brain’s metabolic activities by detecting how quickly tissues absorb radioactive isotopes. A radioactive gas or an IV injection of glucose tagged with isotopes is administered to the person being tested. The isotopes emit positrons that combine with negatively charged electrons in tissue cells to create gamma rays. A computer translates the gamma rays into patterns that reflect cerebral blood flow, blood volume and neuron metabolism. If an individual has a seizure, they are normally referred to a neurologist, a doctor with special training in disorders of the brain, including epilepsy. Some neurologists have specific training in epilepsy and spend most of their time treating people with this disorder; they are called epileptologists.